I had not read too many history books before this one but found that after I started reading this I couldn't put it down. It was extremely well written and extremely interesting - and in way quite scary. Highly recommended. 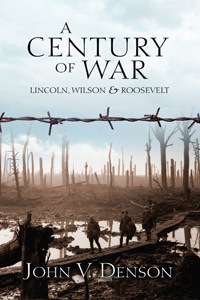 This is a eye opening examination of the three wars that changed this nation, the civil liberties that were violated and the lies put forth by Lincoln, Wilson and FDR.